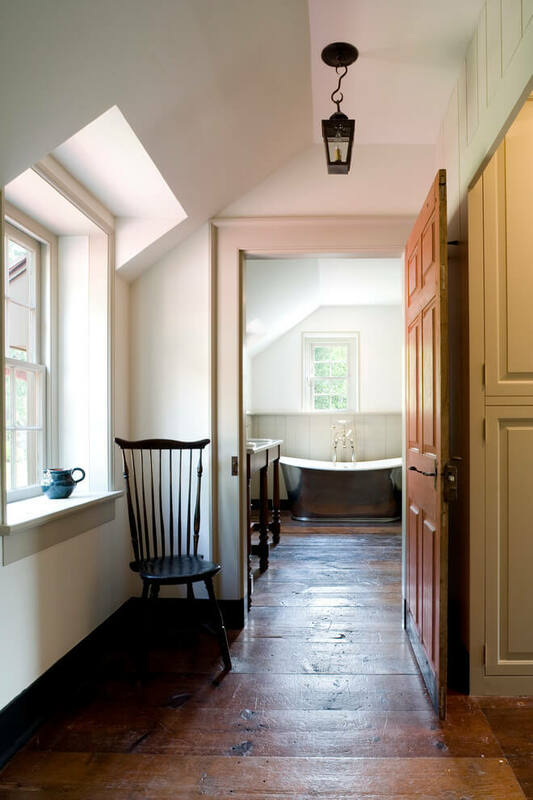 FARMHOUSE HALLWAY DESIGN IDEAS – When it comes to designing a house, design the hallway is an important and tricky task. 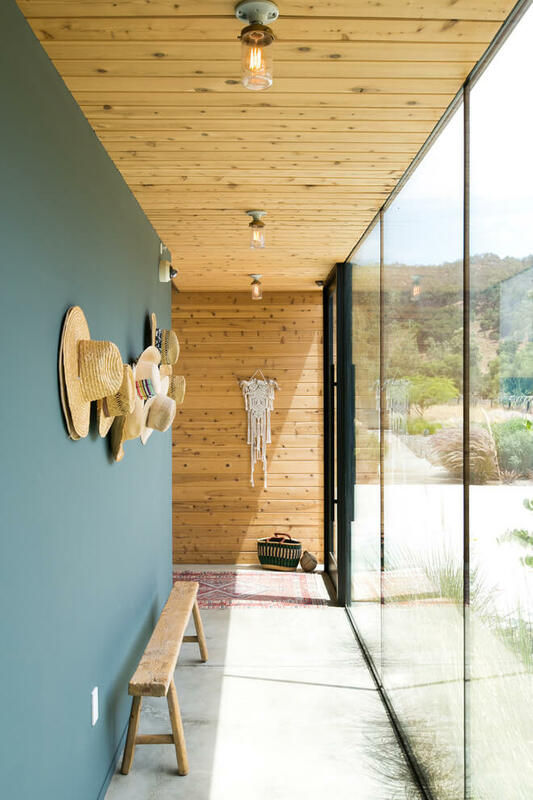 The hallway is the first space that guests will see the moment they enter the house. They surely will make the first impression of the house and see your unique sense of style. Besides the design, hallway should fulfill its functions. It is the place where you put the small items such as car key, umbrella, wallet, and so on. However, you should also think of the hallway from the guests’ point of view. It should be welcoming and spacious that shows your hospitality. 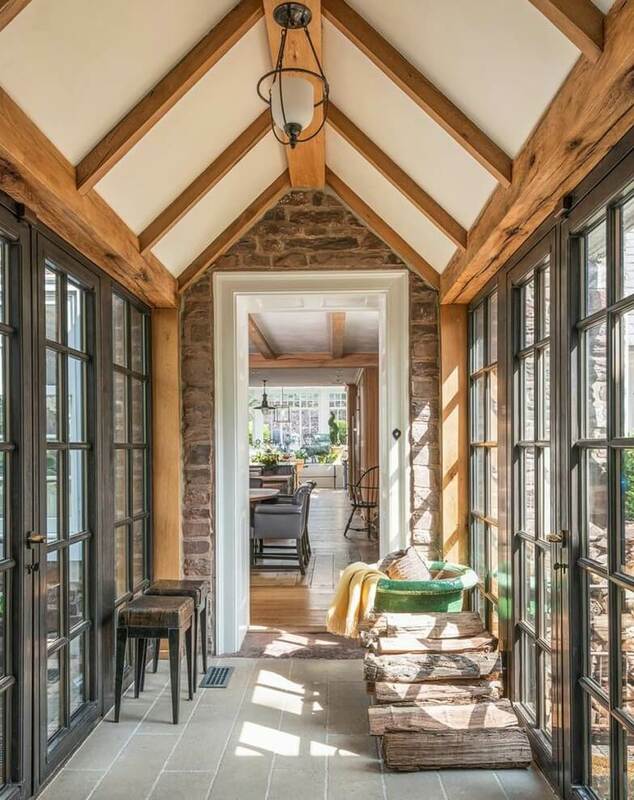 One of the common hallways design is the farmhouse design. 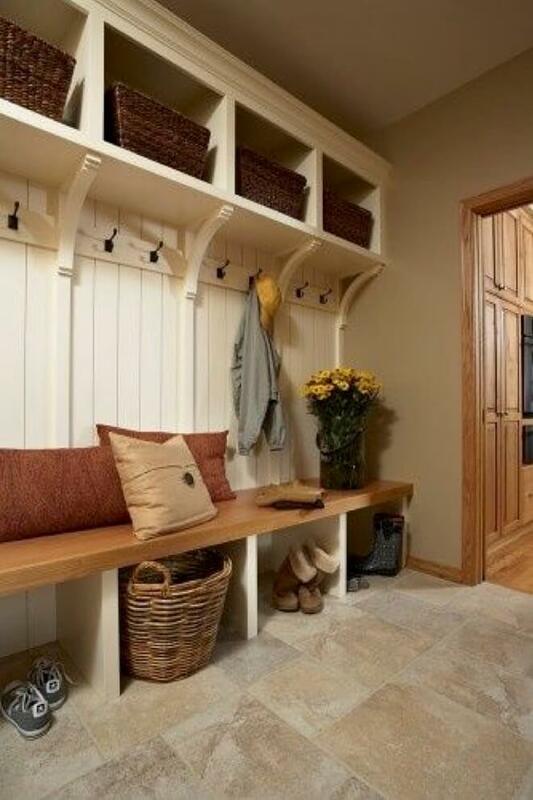 Also known as rustic design, the farmhouse hallway design is one of the popular designs for many houses. It gives the countryside feel that many people share during childhood. 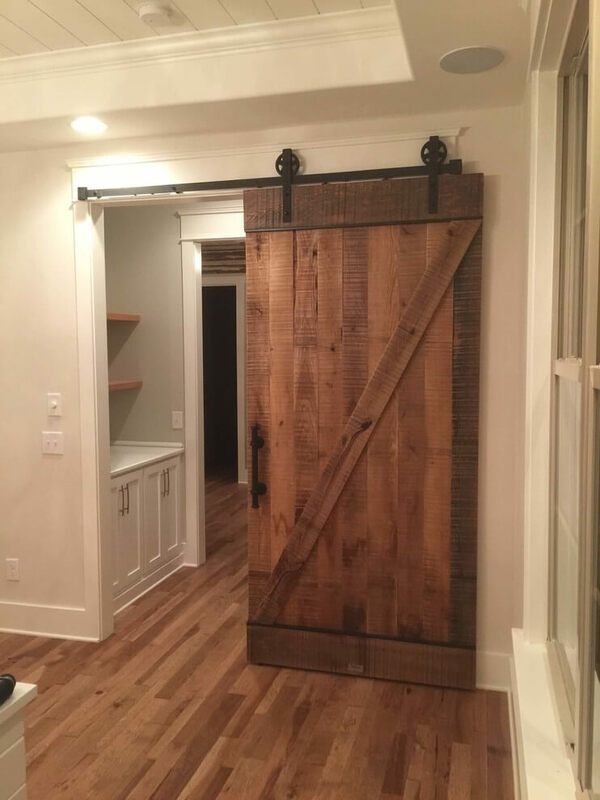 If you are also into the farmhouse hallway design ideas, here are some tips and ideas that you can use. 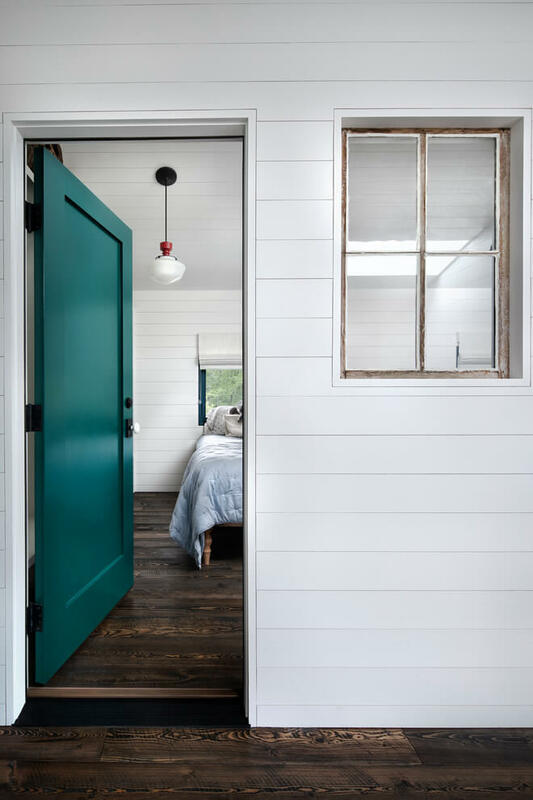 When it comes to farmhouse design, many people will directly think of chipped paint, neutral colors, wood accents, antique rugs, and so on. It is indeed the common ‘farmhouse style’ look like. 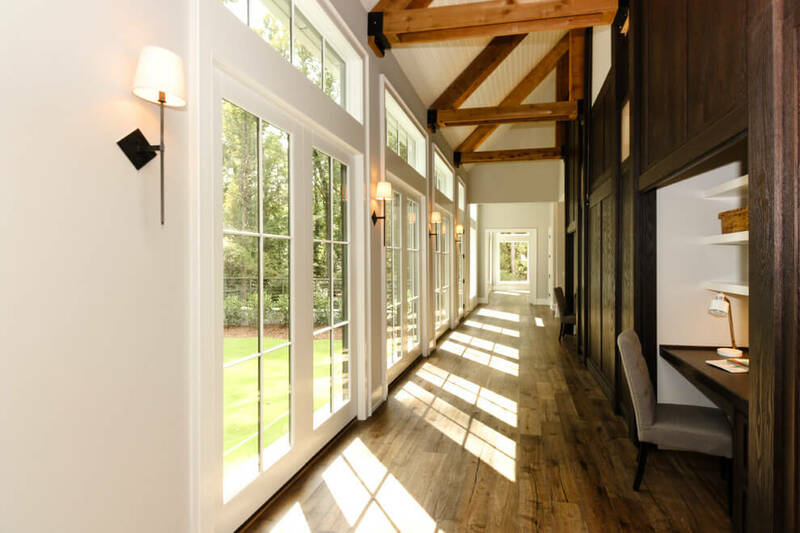 However, here are some general tips to pull farmhouse design hallway in a more modern way. Before you start working in the hallway, it is important to take time to consider how you will use the space. 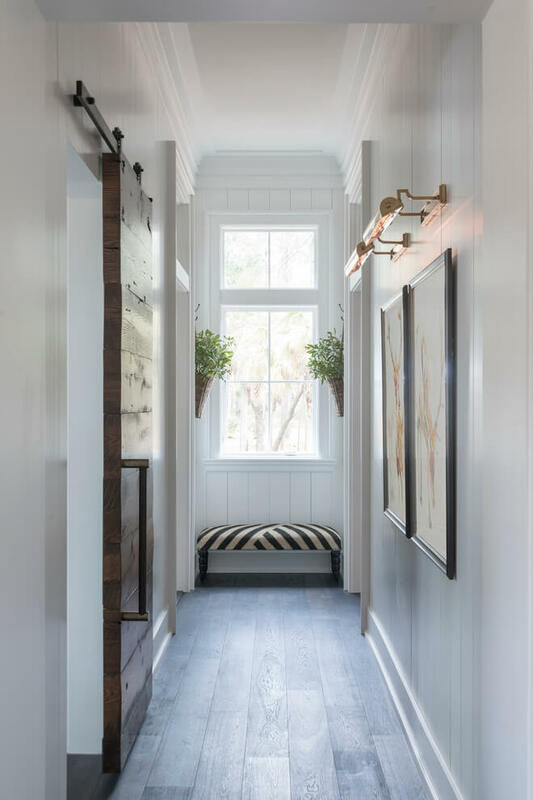 This step is important to help you decide the focal point of the hallway, for example, a standout cabinet, art gallery hallway, rustic lighting, and so on. Once you figure out the function of the hallway, you figure out the rest guide easily. The hallway is typically full of footfall and even muddy feet. So, it is important to use hardwearing and sturdy flooring. For farmhouse flooring style, you can use pattern tile floor to enhance the ‘farmhouse’ feel. The hallway flooring should stand longer and easy to maintain and clean. If you are up to rustic rug, make sure that you choose one that easy to clean. It can be a pain to clean the rug every week due to muddy feet. You can also put the rug occasionally when the season is nice to avoid excessive dirt on the rug. Some people put limited lighting on the hallway for some reason. But if you do not like to search for a small thing in the morning, get a better lighting solution for the hallway. Choose rustic lighting style if you want it as the focal point. You can also add table lamps on the cupboard to add more accents to the hallway. 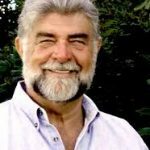 If it is possible, you can also use natural light as much as you can for a better lighting solution. 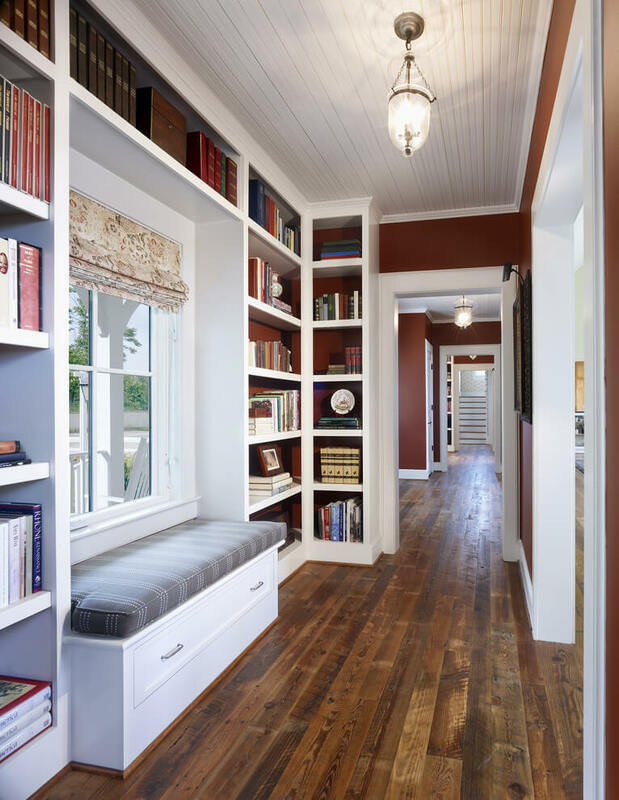 Like any other designs, the color palette is also important for farmhouse design hallway. The common option for this design is whitewashed as it reflects the light better. The white color is also great if you want to emphasize other ornaments in the hallway. If you do not want to go with white, you choose brown, soft yellow, mint, and other softer color palette. 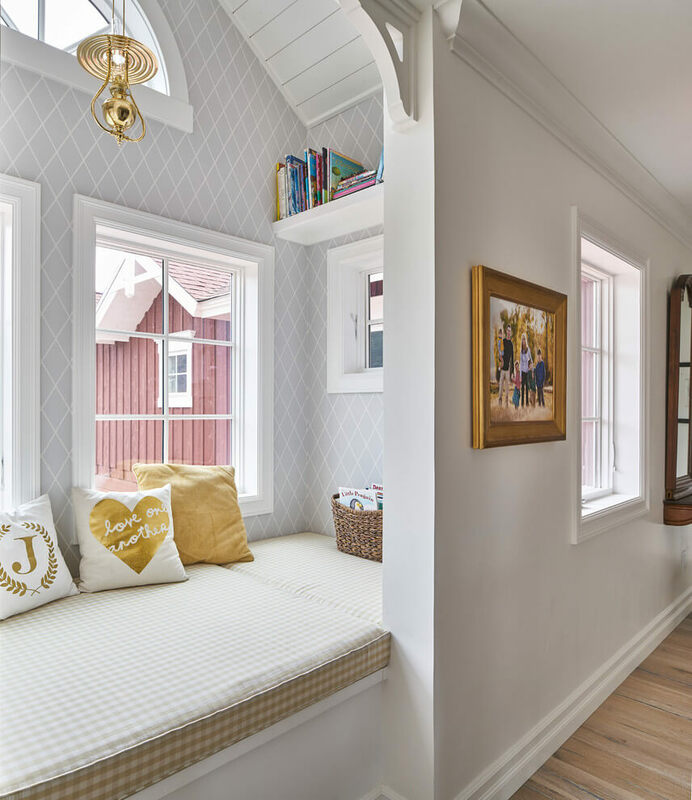 For houses with a small hallway, it is important to pull out design that will create the illusion of a larger space. 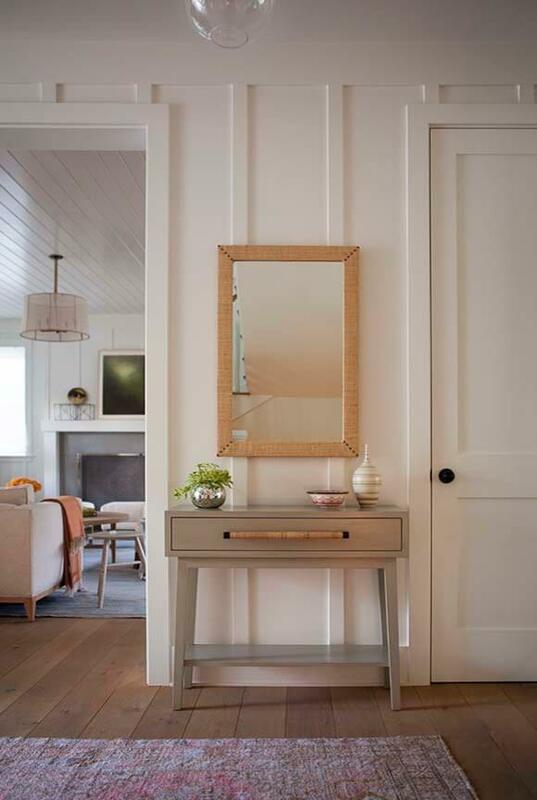 For farmhouse style hallway, you can put a large round mirror with antique details to give a larger space illusion. You can also achieve the larger space illusion by choosing the right color palette and lighting. 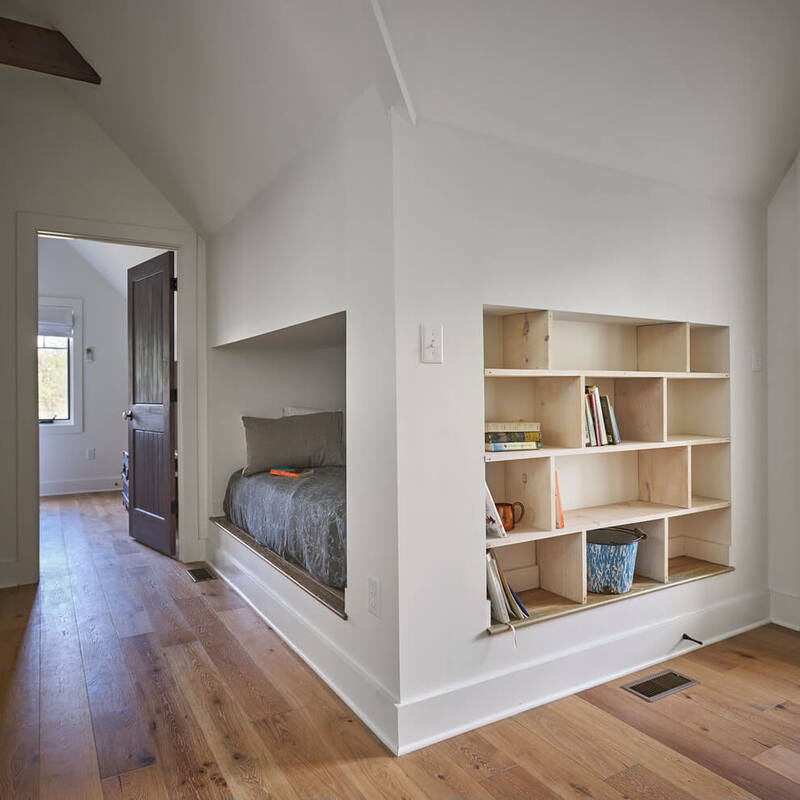 No matter the design and size, the hallway can also serve as additional clever storage. It allows you to get more organize and also maximizing the space. Instead of putting shoes, coats, hats, and bags to take over space, you can place an antique cupboard to store it. A console table with a rustic touch is also a great choice for storage and also beautiful in the display. Thus, there will be no more shoes, bags, hats, and coats scattered around the hallway. Besides storage space, it is also important to consider the space under the stair. Do not forget the functionality of under the stair space since you can use it to store lots of things. You can also put some rustic design such as put some artworks or add a touch of texture on the outside wall. No matter how much you care about the hallway design, let’s not forget the small detail. One simple detail that most people do not pay attention is the plug socket. Yes, it is important to place at least one plug socket in the hallway in case you need to vacuum the car or plug some porch light at Christmas. The best place to install the plug socket is close to the front door because it is to reach when you need electricity outside the house. 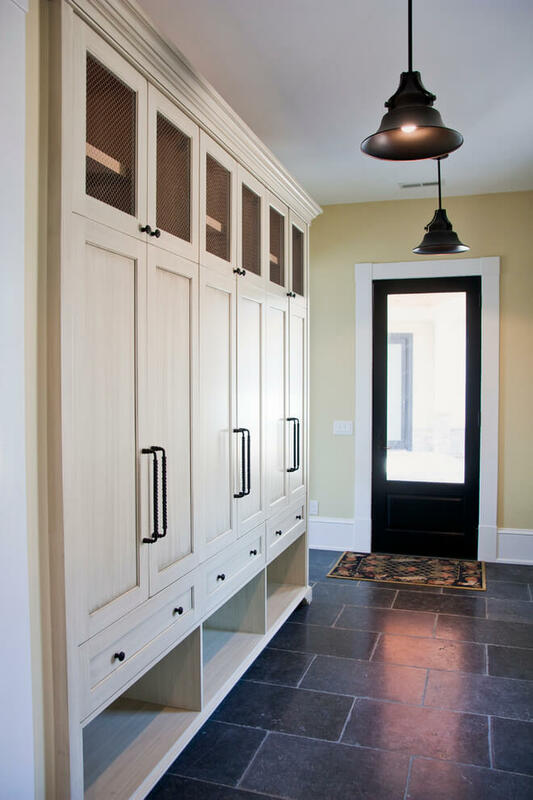 When it comes to farmhouse hallway design many people think that they should only use antique or rustic items. Well, putting all rusting or farmhouse style into the hallway can make the look a bit dull and outdated. Instead, you can combine the farmhouse style with some modern or minimalist touch for variations. 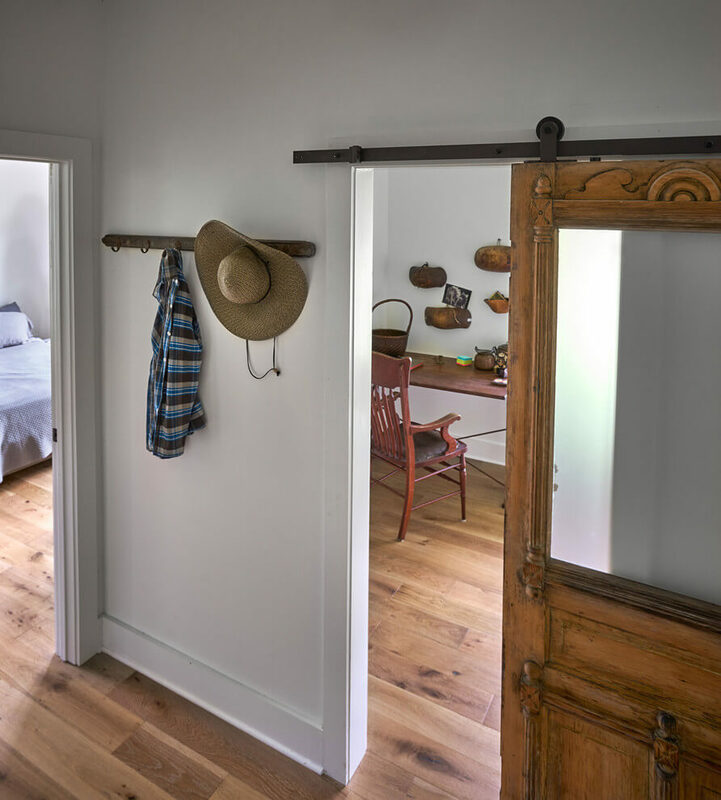 Here are some farmhouse hallway design ideas to try at home. 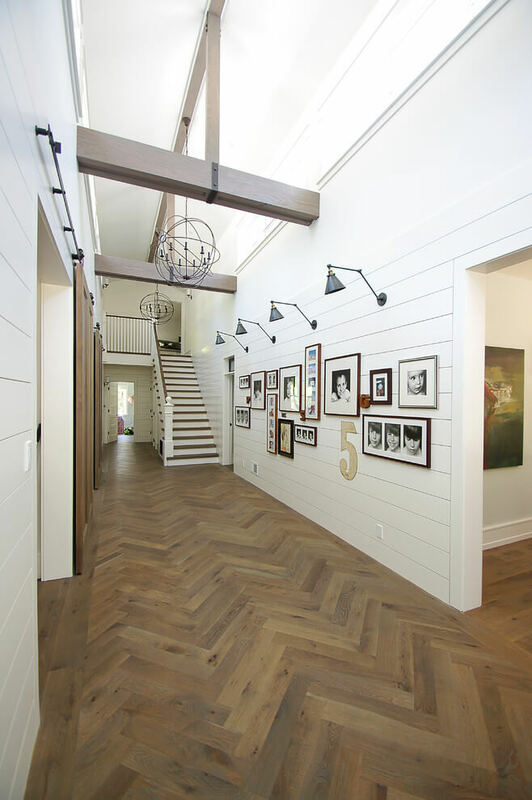 One of a great way to add farmhouse style to the hallway is to turn it into an art gallery. You can display some pieces of artwork along the hallway wall. It is better if you can use various sizes of artwork because it makes the art gallery looks dynamic. You can also consider the wall space before hanging some artworks. Choose large artwork and some smaller pieces if you have larger spaces. In other hands, you can use a mix of medium to the small size of artworks if you have narrow space in the hallway. Another important thing is you may need to consider using white and other neutral colors for the wall. So, it does not distract the attention of the artworks. Farmhouse style is never complete without greenery and plants. You can add a small flower or plant to perk up the hallway. If you think real plants are difficult to handle, you can just use the artificial one that will always look gorgeous with almost no maintenance. The placement of the greenery is also important. When you place it on the floor, you can simply put the plant on a basket or earthenware pot. If you put the plant on the cupboard, you may want to place a smaller size of the plant and put on a good pot. 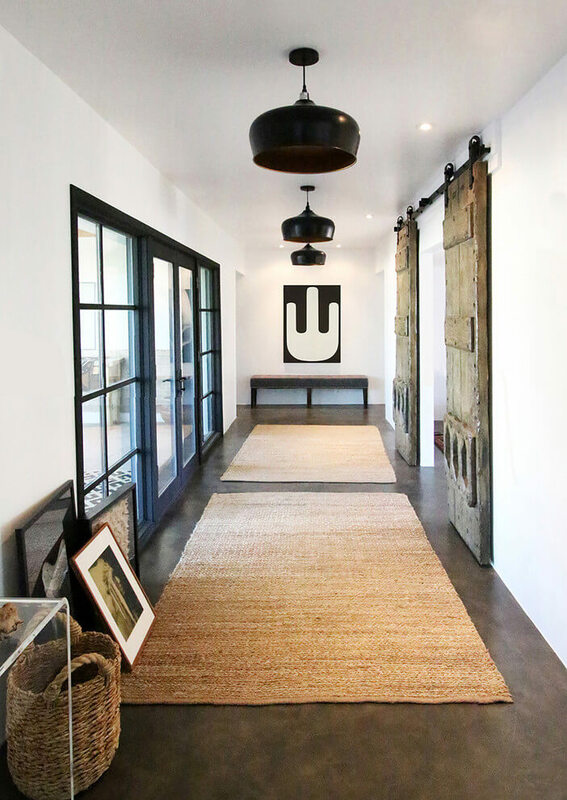 An easy way to pull the farmhouse looks is to put a rug on the floor. A rug also gives a cozy feeling of the house. It keeps the floor warm and also serves as a good decoration. You can pull a simple decoration for the wall and let the rug becomes the focal point of the hallway. Choose a rug with contrast color with some pattern and texture if you want to make it as the center of attention. A rug in a neutral color is also great if you want to enhance other aspects in the hallway. Pulling out the farmhouse style does not necessarily to be all in antique and rustic style. You can choose the minimalist farmhouse style by choosing a small glass table with a flower vase on it. On the wall, but no more than two artworks of your favorite and also use a natural color rug for the floor. Even though the design of the hallway is not complex, but the simplicity gives a good reason for guests to stop. The pattern is a great choice for farmhouse hallway. For example, you can use a brick-textured for the wall as an ultimate farmhouse touch. However, putting the pattern for hallway can be tricky because some pattern may look the hallway looks too busy. Try the larger pattern wall if you have a longer and wider hallway. You can also opt for one tone pattern to make it looks less dramatic. 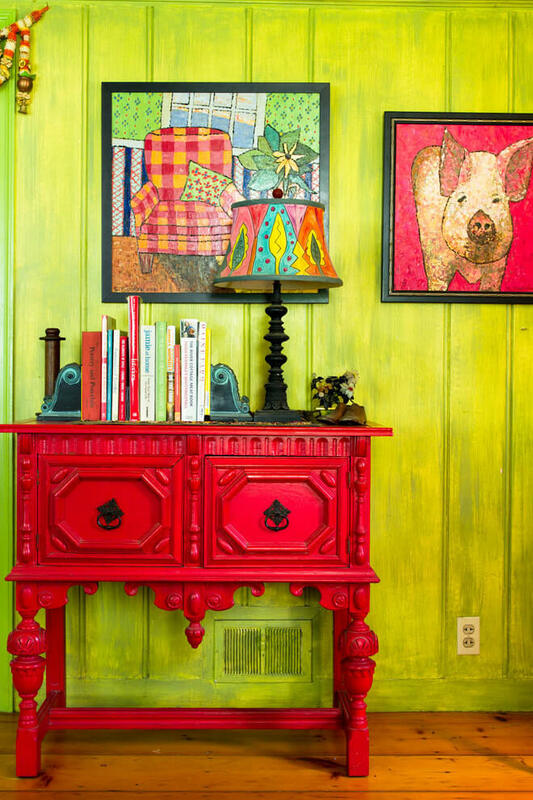 Then finish the space with colorful and vibrant cupboard for a pop of color. A big mirror is also great to choose the illusion of wide and larger space. 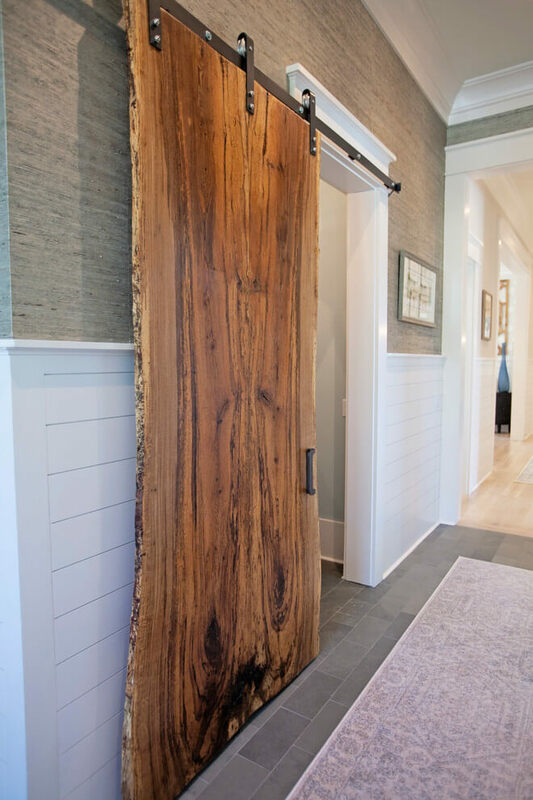 Wooden accessories are one of an important farmhouse style aspect. You can use the wood-pattern tile for flooring. Another trick is to use the natural wood pattern for the cupboard or table. You do not need to pain the cupboard, instead, use varnish to enhance the wooden pattern of the cupboard. It would be great if you already have a wooden wall as it gives a natural look of a classic farmhouse. If you do not want to add real wood for the wall or the floor, you can also add wooden accessories. Even though you want to make it as simple as possible, you should put at least one antique knick-knack for the farmhouse touch. Look for unique items that you can find in a flea market, antique shop, or thrift shop. Look for a good antique chandelier or table lamp to put on the cupboard. Or you can simply look for an old window and turn it into a great picture frame. Antique knick-knack is also great if you like DIY projects. If you the brown style brick wall is too common, the whitewashed brick wall should e a great option. 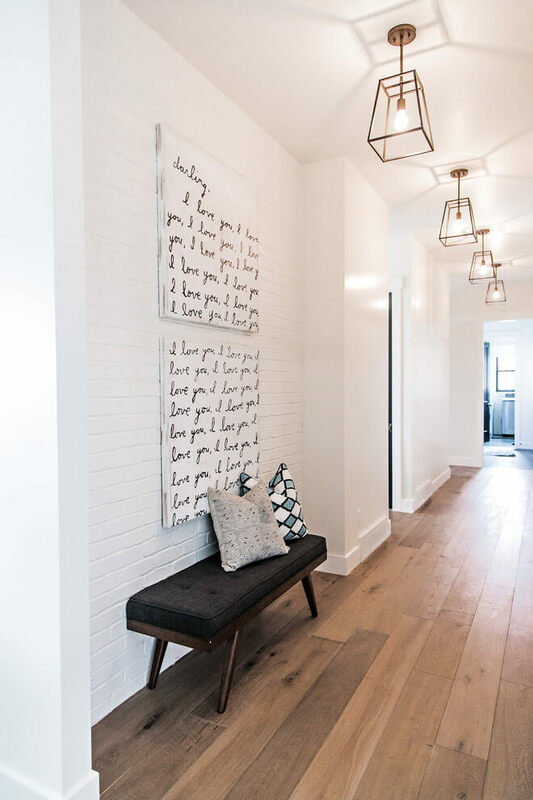 Using the whitewashed brick wall is also a good way to use texture and pattern in the hallway without drawing too much attention. You can still put up some artworks, family photos, or mirror on the wall. The white color is best if you want to create a brighter and larger illusion of a hallway. If the wall is not in brick style, you can always use faux brick panels to create the whitewashed brick wall. The classic farmhouse style combines bright furniture and wood aspects. Painting the furniture gives a complete change for the entire look of the hallway. You can paint the old dark-colored cupboard with brighter color such as white, mint, lavender, and so on. If it is possible, you can also add the chipped-paint texture to give the rustic style. 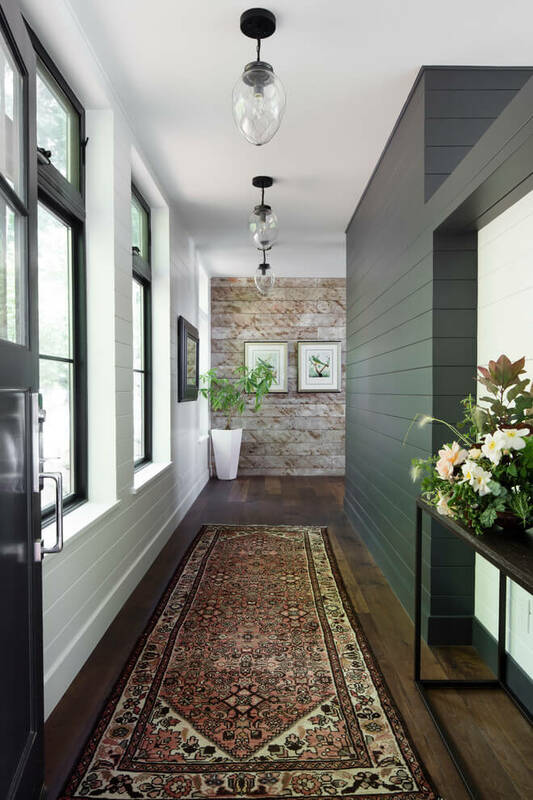 When it comes to the farmhouse style hallway, it is important to combine some texture. This is also a great way if you do not want to add texture for the wall or floor. You can simply combine some accessories with different texture such as glass, metal, wood, fabric, and baskets. Use the glass accent for the vase or mirror, wood accent for the cupboard, natural fabric for a rug, metal accent for key holder and basket for plant holder. 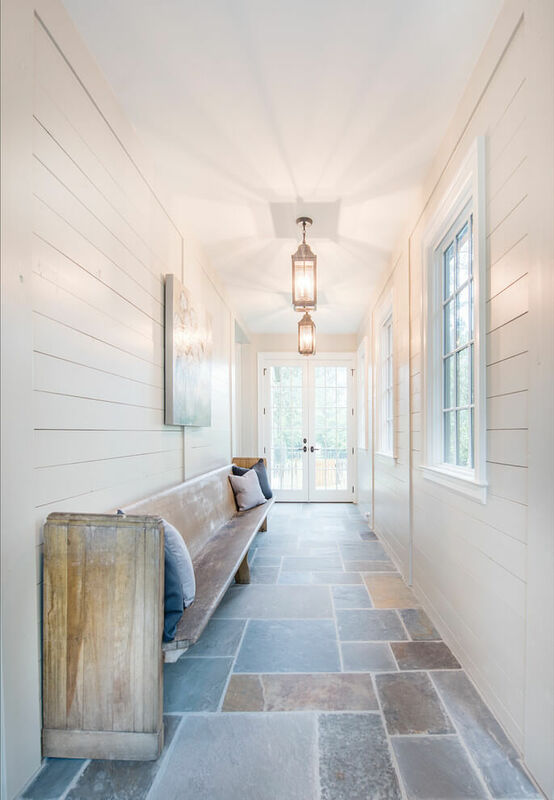 Different texture gives natural finish for the farmhouse style hallway. If you do not want to put artworks in the hallway, you can put antique style signs. You can also combine the antique style signs with a family photo and artwork. It can be some wise words printed in spare lumber. You can also get the kind of antique style signs in some house design shop. Pulling out the farmhouse design for the hallway is easy. You can combine any rustic touch in the hallway. However, it is important to consider the main function of the hallway aside the farmhouse design. 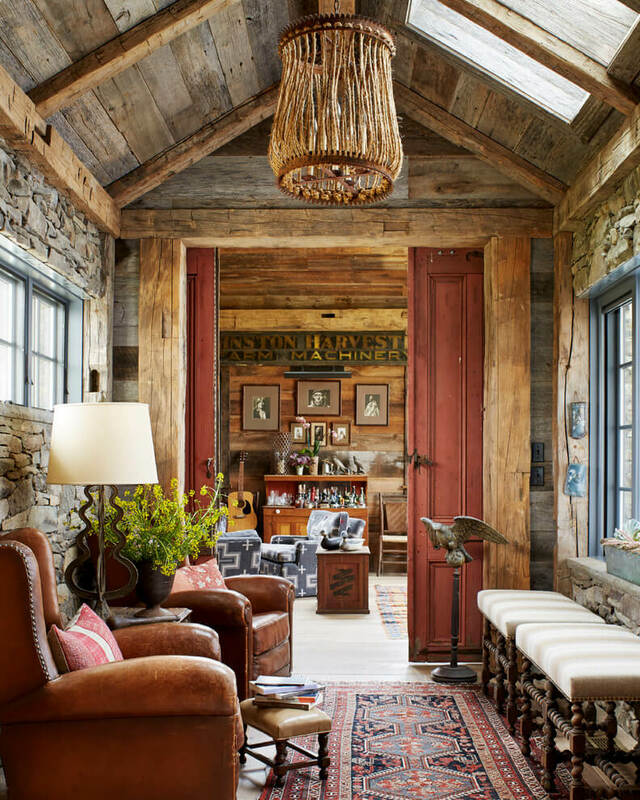 It will be best if you can maximize the use of hallway and still maintain the rustic or farmhouse style. The easy way to pull the farmhouse design is by combining antique items with some texture and color. 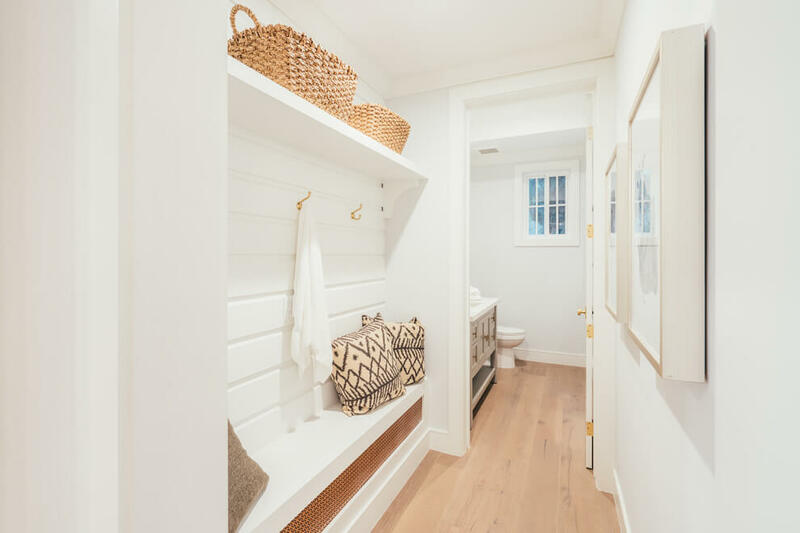 One simple addition to the hallway such as a rug or antique cupboard will automatically turn the hallway into farmhouse style. 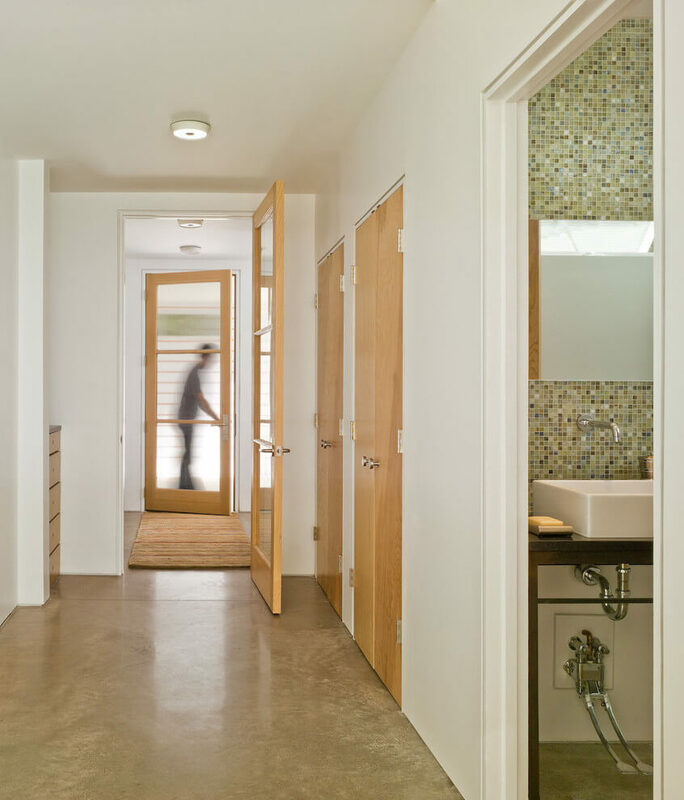 It is also important to consider whether you want to use the hallway as the main feature or not. 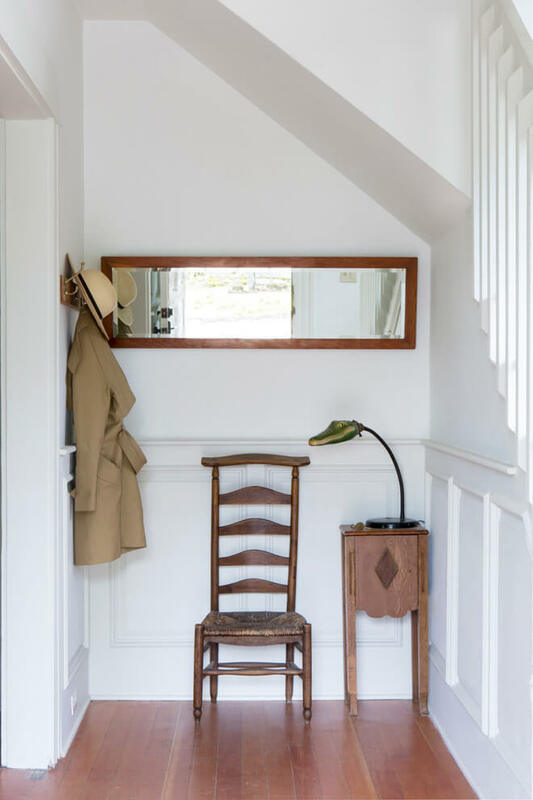 If yes, you need to put some aspects above to turn it into a farmhouse style hallway. Image From JLF & Associates, Inc. Image From Barnes Vanze Architects, Inc. Image From G Family, Inc.